I'm sure you've heard of the cute shop Style Lately but if you haven't let me tell you about it. 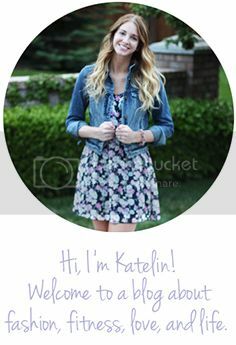 Style Lately is an online boutique that has two parts to it. One part is a deals section where they have daily deals you can check out everyday. These deals usually last a few days but if you want something it's best to act fast and get whatever you want so that it doesn't sell out! The second part is just like a regular online boutique, they have super cute graphic tees and lots of edgy jewelry. Style Lately was kind enough to let me pick out some pretty jewels and I immediately was drawn to this necklace. I love the amber colored stones and it looks a lot more expensive than it really is. Unfortunately this necklace is sold out but I really like this one. I have a list of online shops that I check everyday for cute stuff (Groopdealz, Sassy Steals) and this is definitely a shop that I've added to my daily list! this outfit is spot on! How lovely. 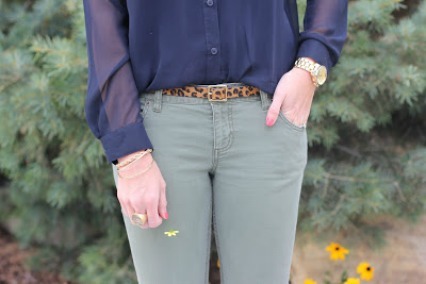 I love the olive and navy together! Gorgeous! Gorgeous outfit, gorgeous necklace. I love the bright pop of pink with your shoes! Gorgeous! Love the pop of pink! So lovin' the sheer blouse! Fabulous choice of accessories for ur outfit! So pretty! Simple and elegant, the perfect mix! 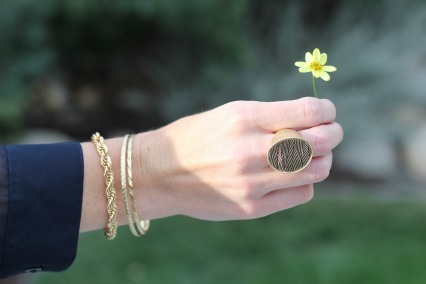 Stopping by from The Pleated Poppy linkup. Would love to have you visit! 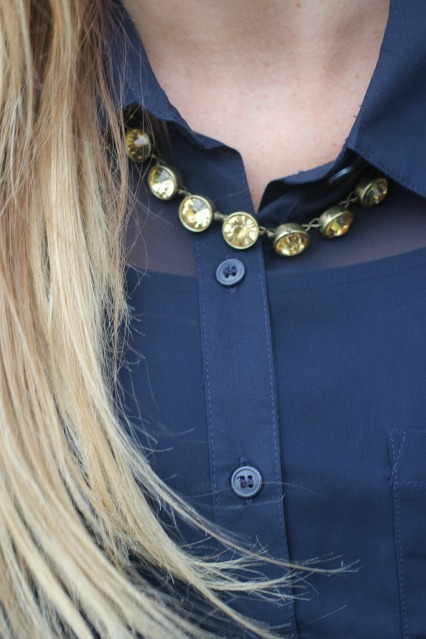 Having a $200 J.Crew gift card giveaway too!